Kuzon had a nightmare again. It was clear in his tired face; the thought of the past, the thought of what happened consumed his rest. He never once sought these terrible memories, yet they seemed to see him. Every. Night. "The wars again?" That was Inana, the only company this veteran had in his life. "You never seem to rest..."
"...No," She answered. "But it isn't like I'm never troubled..."
"When the Blackbird is fixed and refueled,"
That was the same answer she gave him a few trips ago. Anywhere. Anywhere but home. Their true home. After those wasted decades of wandering, he had hoped at least to find a permanent home. But it clearly wasn't going to happen; Any place they found was off any faction claimed territory, or under Gohorn rule. Whats worse was the lack of any Buhaat; Inana and Kuzon might as well be the last ones. "You'll need rest for that trip," Inana laid next to Kuzon, in hopes that another organism's presence would calm the veteran's tainted mind. "Alright, see you in the morning, Nanny,"
"I thought I said not to call me that,"
Kuzon chuckled a bit. "Not a chance red, not a chance..."
The city was bathed in an eternal light; burning, unassuming, yet needed. Krutor Tahn is practically a 'haven' for poorer species of the Known Galaxy, although that couldn't be farther from the truth. In reality, it's a town of thieves and smugglers; danger around every corner, unless you happened to know someone. And you should know someone. Kuzon walked into the fray in a swagger, squinting at the bright light from above. He looked over at the crowds of aliens gathered in their collective cliques , who looked upon himself with hostility. That look was for anyone that was deemed 'stranger', at least that's been told. Finally, Kuzon and his sidekick walked toward a small, makeshift docking station, the one that harbored an assortment of ship parts. A thin, gremlin-like creature eyed them, until realizing that these were his customers. "Ah, Corelli and Toffin, yes?" He spoke with such gusto. "I'd prefer if you call me by my given name, please," Inana replied. "Have you got the Blackbird fixed?" "Of course, friend, it a easy fix, come," He motioned the duo to a small hangar, where, the very relic of the past, the Blackbird stayed in absolute silence. It was a beaten vehicle, scratched & dented beyond recognition, yet it still was a tough vessel. It just needed a boost. "It not the greatest vessel, but it has the heart of a soldier, that ship is," The Mechanic rambled. "A few fried Vortex engine parts, easily replaced. I also took the liberty of fixing that constant buzzing sound when it starts,"
"Another thing to get used to..." Kuzon uttered blankly. "It a mixed bag. Some pieces of Rosebourg parts, Gohorn vortex engine, and maybe a little bit of Nugentian in there, yes," He continued. "Now, the payment; 20,000 Credits." "...the price was 10,000 Credits," Inana explained, worried yet angered. "Yes, plus the extra for extra services. Rosebourg & Gohorn not cheap, you know,"
"We don't have 20,000," Kuzon said coolly. "...& we didn't discuss about putting a price on the 'extra services',"
"Oh, obviously you have no idea how Krutor Tahn works; when i say a price, you give me the price,"
"Go to hell, bakune," Kuzon told him. As soon as it was uttered, two mercenaries came into the spotlight. Each carried a Kli'zar rifle and a menacing armor set. "Well, in that case, you'll have to answer to my fellow Ratel Ruushi. Warriors to the bone, those people are," The mechanic snickered. He then left, calling out to the soldiers, "Do your usual routine,"
Guns cocked, and aim taken, it seemed that the duo would finally be beaten. But, no; that'd end the story too quickly. Instead, Kuzon jumped toward a thug, jabbing him with a quick hand knife to the side, and grabbing his leg, forcing the Ratel Ruushi to (attempt) balance, leaving an opening that ended that soldiers fictitious momentum. Inana followed suit on the older soldier, using the bigger figures own weight as it's own weapon. Jabbing every pressure point, stunning the larger enemy before giving a kick, sending the Ratel Ruushi flying towards a wall of parts. The mechanic noticed this. Frightened, he ran in a huff. "I hope he's a better runner than a mechanic," Inana quipped. "Yeah. Get the guns, and whatever else needed. We leave in a few," Kuzon ordered. "Your Bayo could use some work, a little off balance with the kick,"
"Shut up. I was fine," Inana smirked, grabbing a Kli'zar, along with a knife, and some EMPs. "Wow, these Ratel Ruushi carry a lot of weapons,"
"Their armor obviously needs work; i think we dented a few plates of their protection,"
"If you can call it protection..."
Soon, the Blackbird was high above the planet. Their next stop; anywhere. It has come to my attention of the little fiasco on Ratel. Two of the best trained fell to a couple of drifters. But that's not why i'm calling; the reason is that these two drifters are of Buhaat origin. Buhaat usually are found in our ranks, and these two are unaware of our existence, saddening as it may be. The fact is, they bested our trainers, showing us how weak our army is under the Ratel Ruushi's guidance. We'll need them with their family; their true family. Our bloodlines are needed in this crisis. My visit to Hera II will begin shortly, so i urge any order members to find, & recruit these two Buhaat. Also, the Ratel Ruushi will need explanation for their failure; send KN1gHt when you have the chance. "Other than that close call on the fourth jump, we're okay," Inana reported, looking at the new Vortex engine. "The Gohorn made a very compatible engine,"
"Yeah...too bad they're insufferable bakune..." Kuzon replied dryly. The crimson Buhaat sighed, then closed the small compartment that held the vortex drive. She then proceeded to walk to the front of the ship, where an odd light show danced along the outer regions of the thin bubble of reality. "I seem to see the same exact image on every jump; colors, basically giving a subtle rhythm,"
"Ever thought of poetry slams?" Kuzon joked. "I hear they have this great pub on Mars that does that every Thursday,"
Inana ignored him for a few minutes before turning to him. "Do you still think about Esau?" "All the time; it was one of my homes," He felt rather sad, talking about the old home world. Kuzon distinctly remembered the large mesas that scattered the landscape. By no means was it an easy place to live, but the Buhaat had survived a good deal of time. The tired veteran sighed and took his attention back towards his quarters. 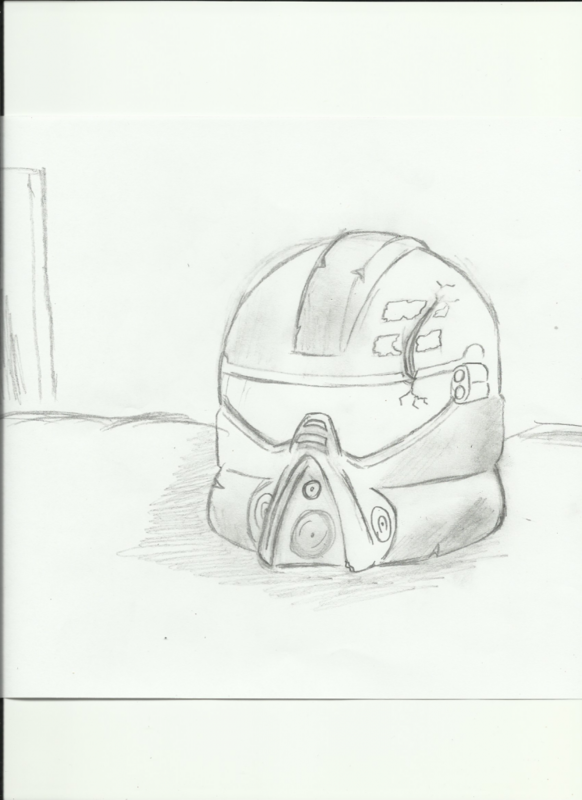 His old army helmet still hid inside of the small storage compartment, which itself had many more memorabilia. Scratched, dirty, but still very much functional. Closely related to Kuzon's current state. Inana let herself come in, not speaking a word, for Kuzon was in his usual trance. Maybe a way to deal with the stress of...what had been. Of course, many have their own way to grieve. Finally, without eye contact, he spoke, "Where are we heading?" "Bantra Vaal. Very wild space, no Gohorn. Could get us a sustainable job," She answered. "As farmers?" Kuzon asked. She nodded. "Fine." Finally he left the helmet on his bunk, and retired to a bit of R&R with Inana. The beautiful fields of Bantra Vaal were apparent to the duo through their cockpit. Endless grasslands adjacent to a large mountain, the small capital of Valon opened up a new hope; a chance to regain those lost years. It didn't hurt that the air was very much breathable; more breathable than Ratel. The Blackbird finally landed on an open plain; the two Buhaat came outside, inhaling the crisp evening breeze. They both seemed content to the reveal of how appealing this world was. A new, peaceful life. "The town looks nice...do you think they have room for farmers?" Kuzon asked. "I'd hope so; the journey was a really long one," Inana replied. "You start work inza murnin', Eh?" The Employer said, in a very distinct dialect. He looked middle-aged and reptilian. In fact everyone, with exception of the Acolytes, were somewhat reptilian. Must be what Bantra Vaal's people look like, Kuzon thought. "Thank you, we'll work as hard as we can, right Kuzon?" Inana responded. "Oh...yeah, yeah we will. Where exactly do we sleep?" Kuzon asked. "Inza complik out 'ere, ne'r za statue of Ban Latha. You neeva miss it," He answered quickly, impatient to register a new employee. "Okay, thanks," Kuzon said with a slight excitement in his tone. "Have a good one,"
"Ya too," The Employer replied to be polite. When the duo left out of earshot, the Employer grabbed a small communicator, and called a very special guest. "Capteen Parr, some new Buhoot you'd wanna pay 'tention to; Kuzon Corelli an' Inana Toffin,"
I've been informed by our local spy, Vak Tenzo, about a recent register of two Buhaat; one is normal, yet the other is undoubtedly Gaopen. A royal! This a big step, as the crimson colors have never been seen. I'll send a search party to try and recruit them immediately. But, of course, let them get settled before we startle them. They may have been through quite a journey.